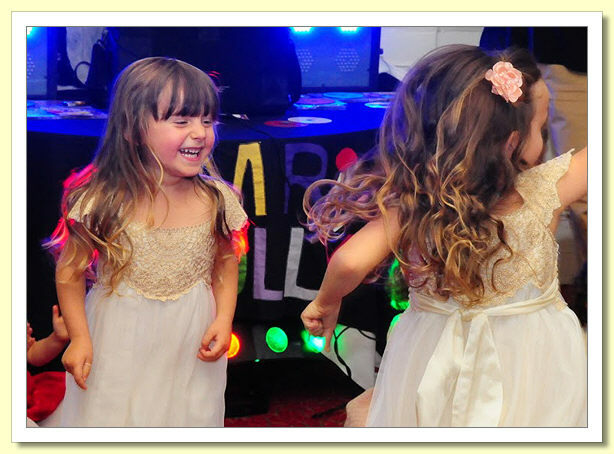 Once you have booked a Mr Lolly Party we will email you a booking confirmation. 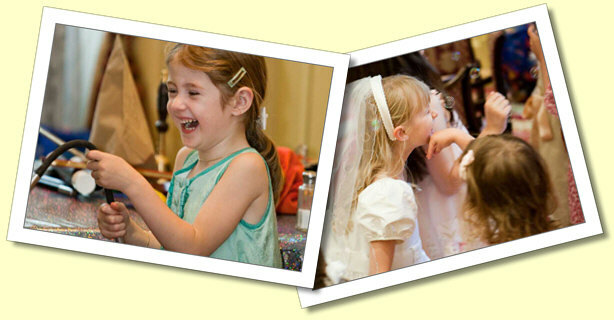 Mr Lolly will then call you 2 days prior to the date of engagement to go over the Magic Party with you. This will also put your mind at rest. 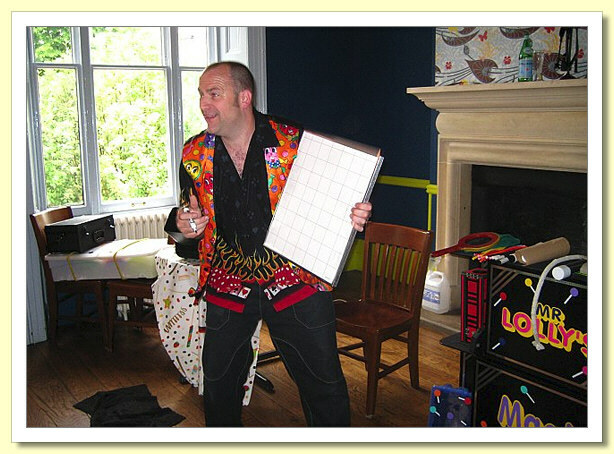 Mr Lolly will arrive 20 minutes before the start to set up his Amazing Magic Show. So Mr Lolly will be there ready in plenty of time to be all set up and meet and greet the guests as they arrive for the party. 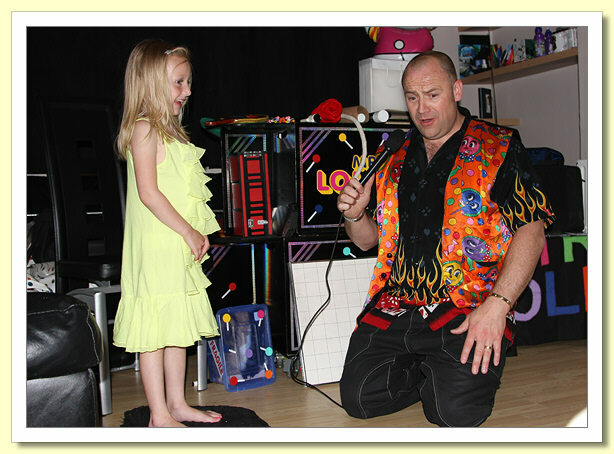 Below is just a taste of Mr Lolly's magic tricks within a 2 Hour Mr Lolly Magic Show. 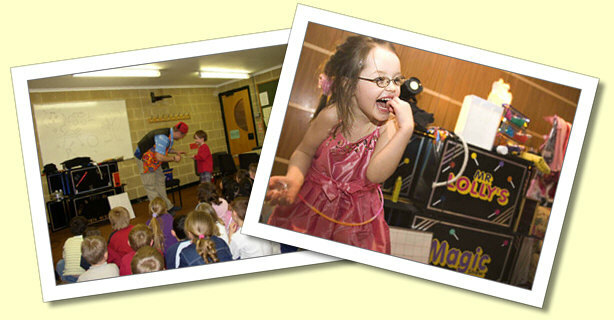 As the children arrive music, games and dancing start to create a nice party atmosphere, with MR Lolly's Amazing Bubble Machine which blows up to 1500 Bubbles per minute to create a nice party atmosphere - then it's on with the show. 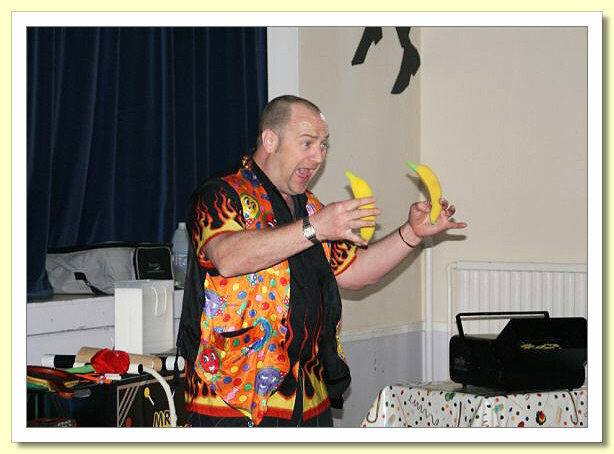 THE NEVER ENDING BANANA TRICK: The children will laugh and be amazed as the bananas keep appearing from nowhere. 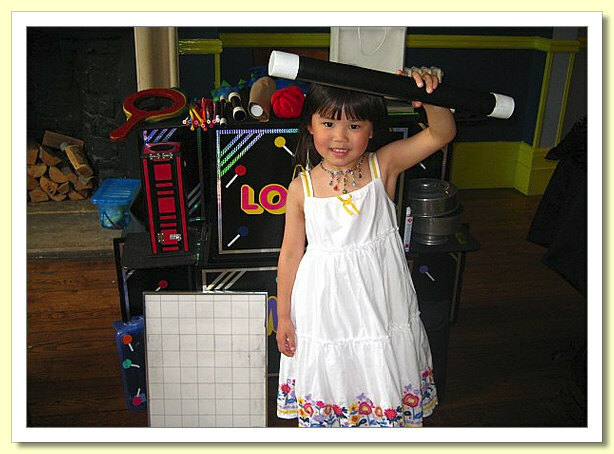 THE PICTURE THAT COMES ALIVE: Mr Lolly draws a picture of the birthday boy or girl and the picture comes alive and starts talking to the boys and girls - amazing! 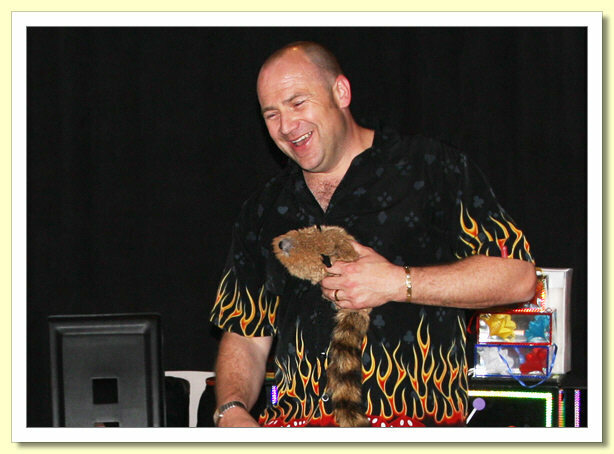 ROCKY RACOON: Rocky is a puppet but looks to the children so very real they will not know the difference! 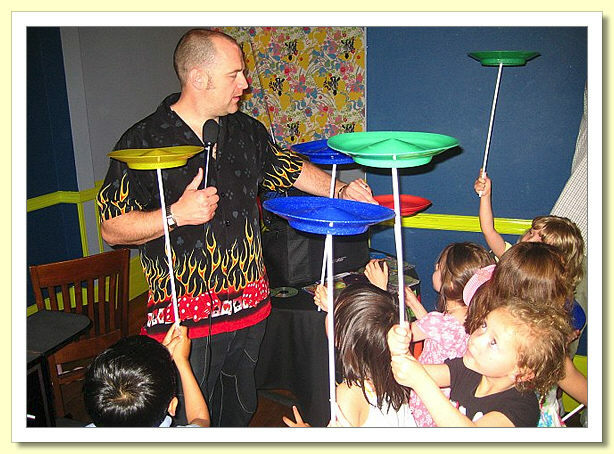 He will jump around in the air and into the audience - he does an amazing magic trick and the children will truly love him. VANISHING BOTTLE OF TOMATO KETCHUP: Just as it says in the title, it vanishes right before their eyes Amazing and gets a big cheer from all the boys and girls and parents too. APPEARING FLOWERS: From an empty bag seen by all, and with the help of the children, boxes of flowers keep appearing from nowhere - this will amaze everyone at the party. THE AMAZING RED LIGHT TRICK: Mr Lolly will turn down the main room lights... reaching into the air he will produce tiny glowing red lights from nowhere. They will cascade down into a clear bag for everyone to see - this is "real magic at its best". A SMOKE BLOWING DRAGON: This is so cool a puppet dragon will appear and blow smoke from its nostrils it looks so amazing and funny. 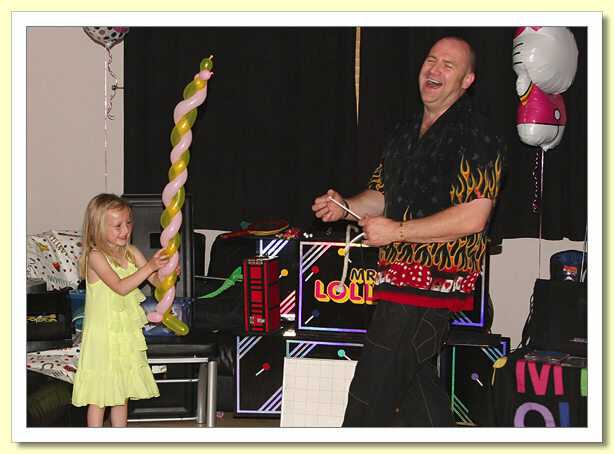 A SPECIAL BALLOON FOR THE BIRTHDAY BOY OR GIRL: Mr Lolly from the start of the party to the very end likes to make the birthday boy or girl feel very special. What better way than to make them a very special balloon during the show. 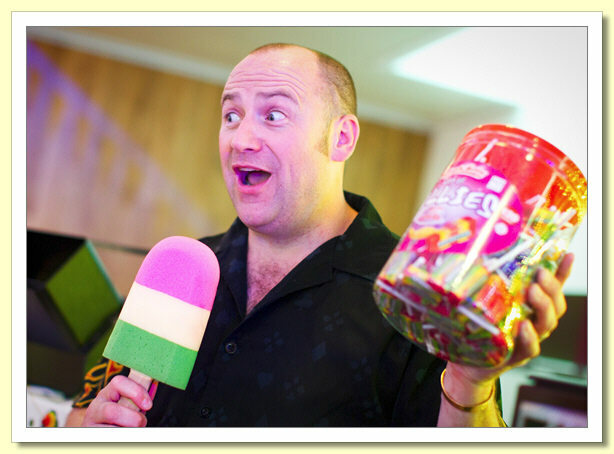 FIRE TO LOLLYPOPS: A Mr Lolly Show would not be complete without a Lollypop for all the boys and girls at the end of the party. AFTER THE SHOW IT'S TEA TIME: Mr Lolly will sit the children down for tea after the first hour of the party, once the children have finished eating Mr Lolly will help you sing Happy Birthday with the cake and then it's back to Mr Lolly for a Dancing Competition, music, games and amazing plate spinning and bubbles. Followed by lollypops for all and then home.